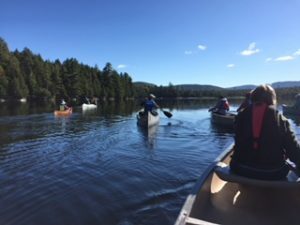 Nineteen members of ADK NFC & Bell Ski Club hiked and paddled on the historic grounds of Great Camp Sagamore in the Adirondacks during the first weekend of Fall. 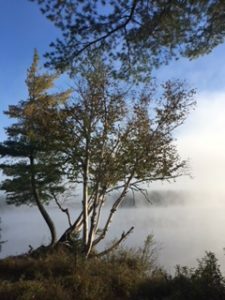 Others enjoyed a guided nature walk, a boat tour on Raquette Lake or Blue Mountain Lake, or a trip to nearby museums. Delicious food and conversation around a fire brought each day to an end.